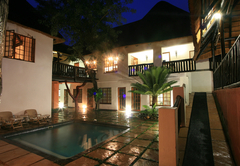 Pensao Guest Lodge is a guest house with self catering option, providing accommodation in Nelspruit for tourists visiting the Lowveld Legogote region. 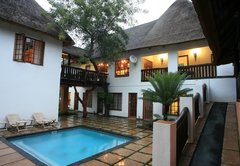 Situated in the quiet suburb of Sonheuwel, in the beautiful city of Nelspruit, Pensão Guest Lodge offers unbeatable value. 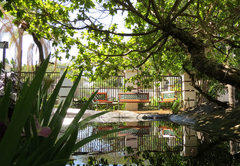 We have gardens, swimming pools and secure parking. 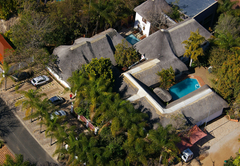 We offer a wide array of rooms, three braai areas, a beautiful picnic spot and security personnel who patrol all night to make sure our guest have a safe and relaxed stay. 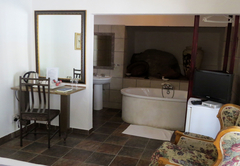 Our rooms include free Wi-Fi, air-conditioning, DStv, a private bathroom with soap and towels, a refrigerator and tea / coffee making facilities. 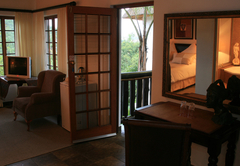 Our Executive Rooms are luxurious and have all the perks of the standard rooms. 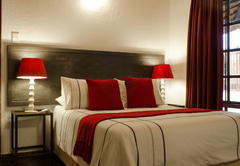 Our Standard Rooms are designed to be enjoyed by all the different type of travelers. 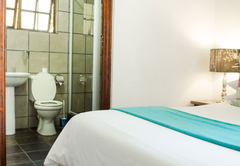 Our Small Standard Rooms have all the necessities to allow the guest to feel at home at the most affordable price available. Our Presidential Suite is tastefully decorated with beautiful linen and interior decorating. It has a private Jacuzzi. 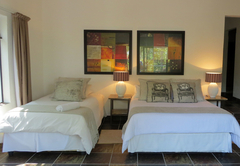 Our three sleeper rooms are beautifully decorated. One room is furnished with a double bed and one room has a three-quarter bed. This unit that can accommodate up to eight people and has two private double rooms and a loft which has four single beds. 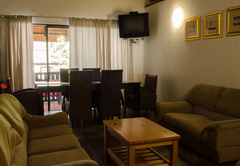 There are two bathrooms, a full kitchen as well as a large dining and living area with veranda. These units can accommodate a maximum of four people. 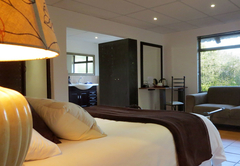 Each bedroom has a double bed and two single beds in a loft area. 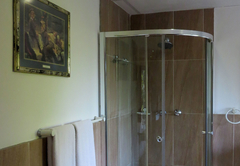 There is a full bathroom as well as a fully equipped kitchenette and a small living room. Breakfast, lunch and dinner can be arranged at and additional fee. Our Executive Rooms offer a much more luxurious with all the perks of the standard rooms, except with better interior decorating tastefully designed, each unique in colour and vibrancy. Our Small Standard Rooms have all the necessities to allow the visiting guest to feel at home at the most affordable price available. 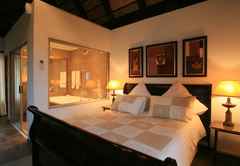 Luxuriously designed to be worth the while, and worth the stay! Our Presidential Suite is our star room. 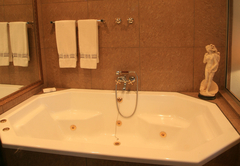 Also tastefully decorated, with beautiful linen, and interior decorating¦ and with a built-in, and private Jacuzzi, that doubles as a shower as well, who could say no! 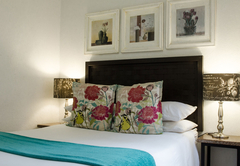 Our 3-Sleeper Rooms are beautifully decorated rooms, each with one Double Bed, and one 3/4 Bed. Perfect for small families or VERY close friends! 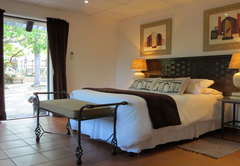 This unit that can accommodate up to 8 people, and has 2 private double rooms, and a loft which has 4 single beds. 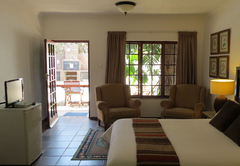 2 bathrooms 1 bath 1 shower, Full kitchen and large dining and living area with veranda. These units can accommodate a maximum of 4 people, each has one double bed in a private room, and two single beds on top of a loft. 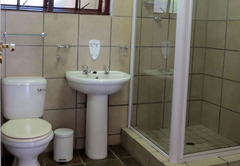 features a bathroom, with a bath and a shower, as well as a fully-equipped kitchenette, and a small living room. Response timePensao Guest Lodge typically responds to requests in 5-10 minutes.